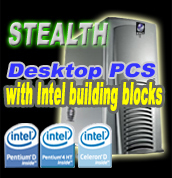 Stealth PC's are a rock solid choice for both the corporate environment and home users. For the home user the Stealth PC's push the technological envelope with the latest hardware. In the Corporate world platform stability is the key, and with product life cycles of up to 3 years we have you covered. Servers are critical to keeping your business running. Thats why Stealth servers are based on Intel products. 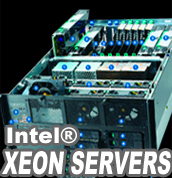 From the chassis to the main board and processors we build Stealth servers for scalability and reliability. 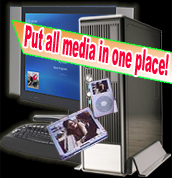 From 1U to 7U and Pedestal, we have your solution from the small office to the largest server farms. 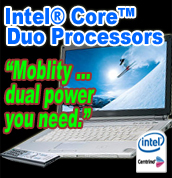 The Intel® Core™ Duo processor is the most recent--generation processor in the latest Intel® Centrino® mobile technology-based notebooks and delivers revolutionary dual-core mobile performance and great power efficiency. The essential platform solution that gives you support for incredible home theater experiences. Play games, connect with family, friends or customers and respond better to business demands anywhere and any time you want.